I've turned into the type of person I never said I would become. The type of person who has access to a public library but doesn't use it. Sigh. To be fair, this is partially because getting to the library has been a bit of a hassle in the past few months. But I suspect there is another reason, which is I've fallen in love with building a home library for my little one, and that means purchasing books rather than borrowing. After accumulating several gift cards for books, I took the plunge and started investing in children's books. It's the most fun I've had in a long time. One dreary Saturday when a stroll around the neighborhood was out of the question, my Duckling and I visited the local big box bookstore. This was a place I rarely visited in the past ten years. When you are a librarian, you can get any book you want to read without the commitment of owning it. This is an especially good deal if you have a small house like we do and not a lot of places to store books. With that in mind, shopping at a bookstore is a complete luxury and always a bit of an event. The first thing I noticed was how many toys the store was selling. After witnessing an exasperated exchange between a mother and her young daughter over toys vs, books, it was clear this was not my imagination. Onward we pressed to the children's section, which deserves high marks for selection and an average mark for stroller friendly floor layout. So many lovely books, and so many memories! There's my old friend Corduroy! Little Golden Books! Curious George! It was good to see so many classics still in print. All these wonderful books gave me a mild case of sticker shock. Those large hardcover picture books with enormous, colorful illustrations that so captivate my baby, are expensive. Thankfully, the bargain section has a nice selection of these, and we received some as gifts. One of my friends, a woman filled to the brim of her tea cup with the gift of hospitality, has a living room dominated by a large wall-sized book case. The lower shelves are filled with books for all ages. Isn't that a wonderful idea for when your guests bring their children over for a visit? I want that, too. 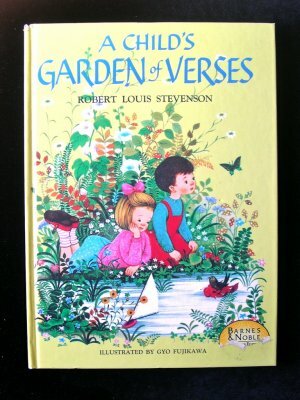 I thought I'd share a few of my favorite children's books with you. There are so many good ones that deserve credit. 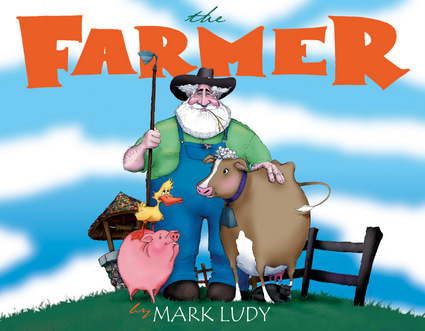 This boldly illustrated picture book tells the story of a farmer who prays his way through a series of disasters. It has a wonderful message, captivating pictures, and it really deserves more recognition. 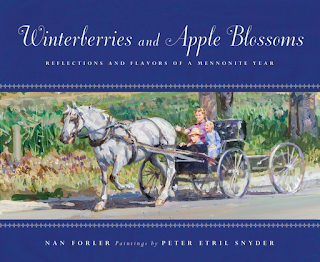 Naomi is an Old Order Mennonite who celebrates the seasons with her family and community. Each month has a poem accompanied by a colorful watercolor illustration, and each month has a seasonal recipe to inspire young cooks. Accurate depictions, beautifully done, and potential for fun. 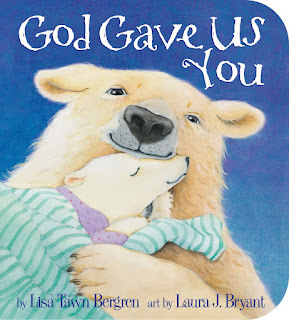 I admit my voice cracked the first time I read this story of a mama bear telling her cub how he came to be. "I prayed that your bones would be straight and your heart would be strong" So sweet! So true. One of the defining books from my childhood, this collection of poems has the perfect blend of sing-song rhymes on themes any child will identify with. I'm particularly fond of the version of this book with illustrations by Gyo Fujikawa because her sweet depictions of feminine little girls and inquisitive boys have stayed in my memory for forty years. 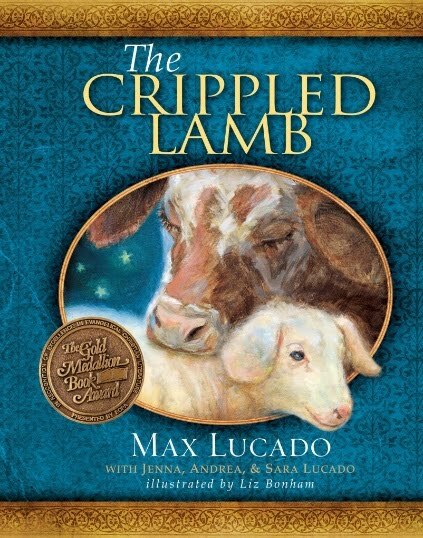 A story of God's special plan for every on e. I remember seeing this at the library and knowing it was something special, and then it went on to win an award and merit fantastic reviews. A really outstanding story. I enjoy reading it every time. These are just a very few of the many wonderful works of children's literature that have captured my attention. I could probably list fifty "honorable mentions". I would love to hear what books your family treasures. Oh, we're Corduroy fans here for sure. And Little and I love the Bear books by Karma Wilson. Love them! Bear Feels Scared, Bear Snores On, etc. Then the bigger boys loved the Chronicles of Narnia. I read all seven to them and hope to start over again at some point. Those are just a few of my faves. The Pokey Little Puppy. Can't be without that! Love the post. Makes me want to have story time! When my now adult children were young, I started to buy books. At first my library was a basket. It grew into a library closet, and finally, a room dedicated to books. Without realizing it, I had a place for my "friends" and my children's "friends." We had a library! It was, and is, a wonderful addition to our home. All good readers, my children would spend hours perusing the book shelves that held books that were in line with our Christian beliefs. It wasn't unusual for one of the children to talk about the book they were reading at the dinner table. This usually encouraged others to read that book as well. The "children" will still talk about their favorites. The library was, and still is, well used. Today, my grandchildren will rush into the house and run upstairs to the library to pick out a book to be read to! My children will borrow our books for their children. How cool is that? I still purchase too many books, mostly non-fiction on a wide variety of topics. However, as an artist, I adore a well written children's book with great artwork. I cannot resist! My excuse is that is for the grandchildren! Creating a library is a great investment.